And I got a kick out this tweet in response. New post from Ed Dunlop. 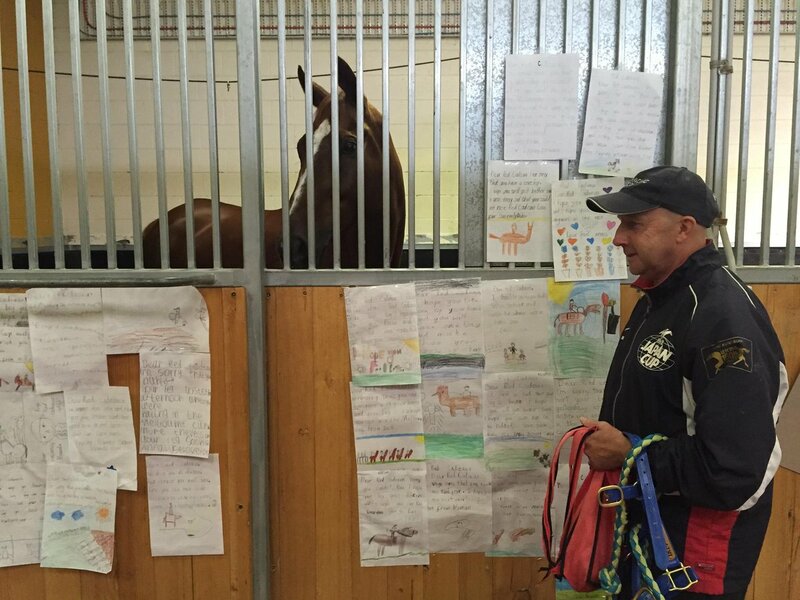 With his life now stable, I wanted to pay tribute to Red Cadeaux the racehorse. He won’t be remembered for his win record, but every other aspect of his profile has been simply astonishing. Three continents, eight countries, five Melbourne Cups, three pixels from history in 2011, the highest-earning British-trained racehorse ever and only an agonising whisker shy of becoming the first to break the £5million barrier. We think he’s covered roughly 175,000 miles by road, sea and air and he’s barely turned in a poor performance over the last four years, the majority of which have been spent away from Newmarket. He’s tough, durable and a hardy trier, but he’s relaxed enough to travel and a kind horse to boot. He embodies many of the aspects a trainer longs for in his horses and while he doesn’t have a flashy pedigree or wasn’t an outstanding yearling, he’s proof that quality can come in many forms. I presume that Newmarket was RC's home base for most of his career, but he's going to be retired in Australia? Guess his connections don't want to make a codger with a dodgy ankle go through the stress of shipping back to England. Good for them. BaroqueAgain1 wrote: I presume that Newmarket was RC's home base for most of his career, but he's going to be retired in Australia? Guess his connections don't want to make a codger with a dodgy ankle go through the stress of shipping back to England. Good for them. Little confused about that. I've heard the talk about Living Legends, and it wouldn't surprise me, but Ed's blog post makes it sound like it hasn't been decided yet. Plenty of these messages have also offered Red Cadeaux a retirement home for when he is given the all clear. Again, we truly appreciate the kindness and generosity behind these messages. 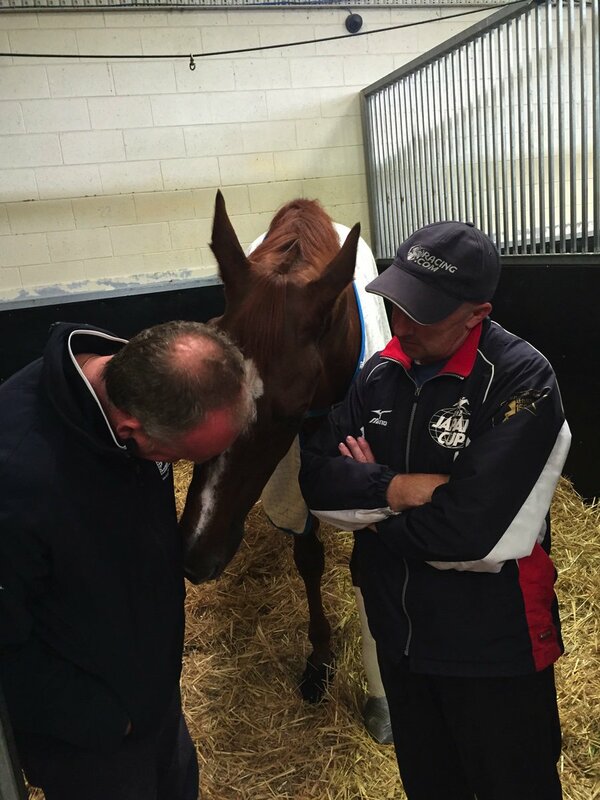 Where Red Cadeaux will spend his easier days has not yet been decided, and this will ultimately be the decision of his wonderful owner, but we will – of course – keep you posted. They might send him to the Living Legends park til he is in better shape. Straight after coming out of the hospital I would want my horse to get some more time on a farm too. And the public love him, so they could see him. Could be that he'll be there for 6 months up to a year or so and then they ship him back home. Just guessing of course. Ed Dunlop has confirmed Red Cadeaux will spend his retirement at @LivingLegendsAU in Melbourne. Three-time Melbourne Cup (Aus-I) runner-up Red Cadeaux, who sustained a career-ending injury while making his fifth appearance in that race Nov. 3 at Flemington racecourse, will be retired to "Living Legends" retirement facility near Melbourne, Australia, Racing Post reports. The video you linked didn't work for me, Kurenai. But the one linked from the article did. Looks like a good place for him. So glad he's doing well! Glad he is going to make it, I wish him a speedy recovery. Wishing him a speedy and optimal recovery. Yes, it really does look like horsey heaven. Some of these legends are old now and look very healthy and happy. Better Loosen Up is 30 years old and he looks great! One of his early trainers was the also legendary Bart Cummings. There are recent pictures of BLU (and others) on their FB page. Looks like a great place for the people-friendly Red Cadeaux. I'd sure love to visit someday. Bright eyed and alert, exactly what you want to see in a senior horse!